I saw this recipe in a Paula Deen magazine and instantly squealed with joy. Oreo cookies + pound cake + Paula Deen? Seriously. 1. Preheat oven to 325F. Spray a 12 or 15 cup fluted pan with nonstick baking spray. 2. In a large bowl, beat butter and sugar at medium speed until fluffy. Add eggs, one at a time, beating well after each addition. Beat in vanilla. Gradually add flour alternately with cream, beginning and ending with flour, beating until just combined after each addition. Spoon half of batter into prepared pan. Top evenly with half of crushed cookies; spoon remaining batter over cookies. Top with remaining crushed cookies. Bake for 1 hour and 10 minutes to 1 hour and 20 minutes, or until a tester comes out clean. Let cool in pan for 10 minutes. Remove from pan and cool completely on a wire rack. 3. In a small bowl, whisk powdered sugar and milk until smooth. Drizzle glaze over cooled cake and garnish with cookie crumbs. what is 12 or 15 cup pan? 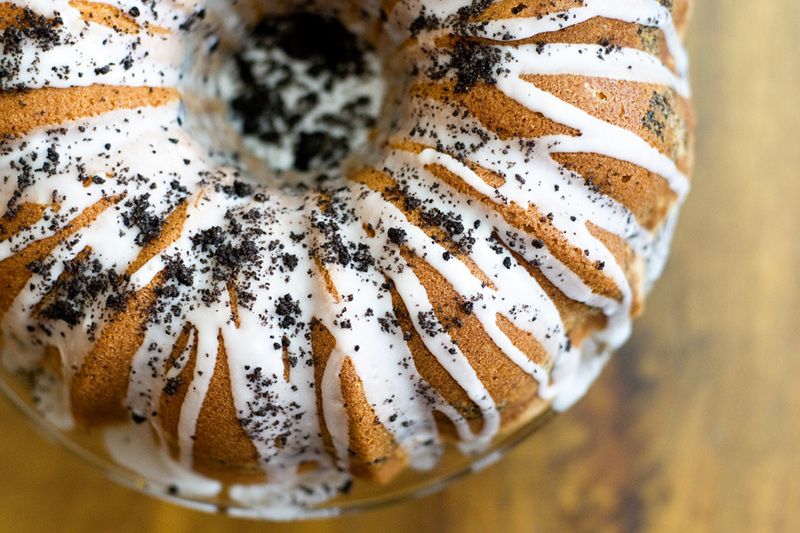 You can use a tube or a bundt pan. I have made this recipe many time over. I have left out the cookies, added coconut flavoring for half the vanilla and substituted coconut oil for 1/2 cup of the butter topped with a pineapple glaze….delicious. This is also a perfect plain pound cake when you leave out the cookies. 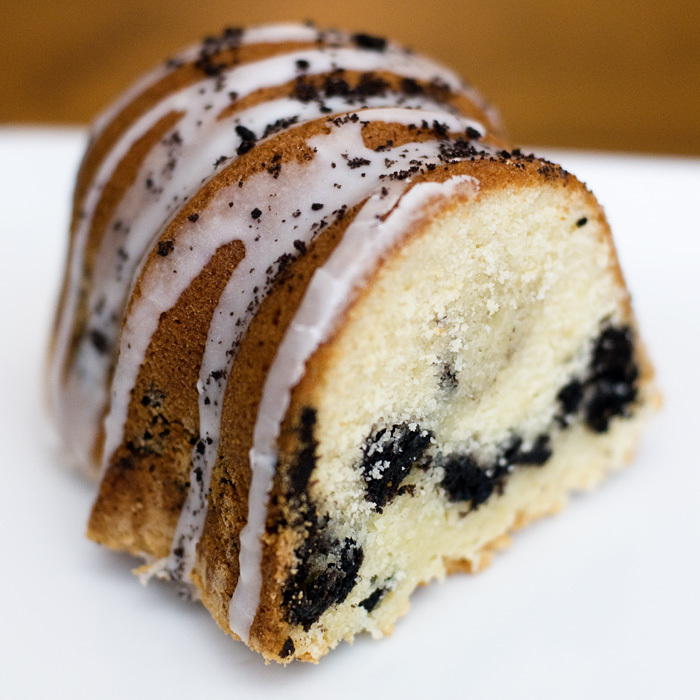 Even people who don’t like pound cake love the oreo version.